The business world is changing, and those who do not stay ahead of the curve are sure to be left behind. It is no longer sufficient to take a profit-first business approach: not only is it not sustainable for the long term, but consumers at all levels are now demanding that the business world develop a conscience. Government regulations are slowly following suit, outlining development criteria to begin this critical shift – but is this enough? The Shared Value business model is the key to unlocking the business growth and profit in addressing social issues. By identifying challenges that intersect with the business’ purpose and then integrating solutions into the business’ operations at every level of the value chain, doing good becomes part and parcel of doing good business. In essence, Shared Value reconnects the business agenda and the social agenda, intertwining profit and progress. Corporate social responsibility has become entrenched in our public mindset. Business, having played a role in creating some of the challenges faced by society and the environment today, is now expected to lead the charge in facing and solving them. The instinctive response is often external policies – good works that rely on allocated resources, often as ephemeral as the feel-good PR they generate. This has its place, of course, but in order to make a real change, business must rewrite its strategic DNA. This is not about ticking a box, doing just enough to get by. This is about going above and beyond to set new standards, and embedding the profit with purpose model in the core business strategy. 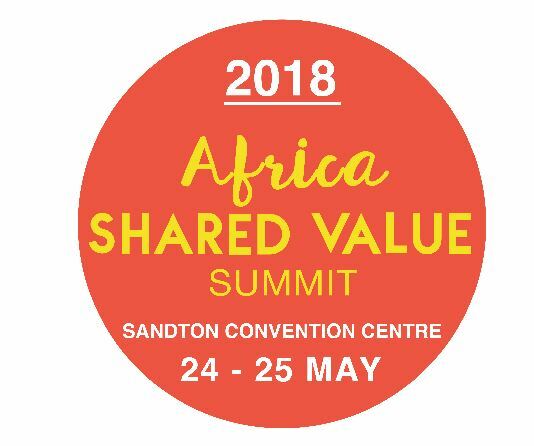 This approach is at the centre of the 2018 Africa Shared Value Summit taking place from 24-25 May 2018 at The Maslow conference centre in Sandton, Johannesburg. The Summit brings together business thought leaders, executives and changemakers, including keynote speaker and co-author of the ground-breaking Harvard Business Review article that first outlined the Shared Value strategy, Mark Kramer, to share insights from their business’ Shared Value journey. Headline sponsor Absa is just one of the notable businesses throwing their weight behind the Summit – other sponsors are Nando’s, Old Mutual, Enel, Discovery, Woolworths and the World Food Programme. Tiso Blackstar, JCDecaux and SAfm are media partners, while OneTravel and The Maslow are travel partners. The programme (which can be found on the Summit website) features highlight speakers from across the African continent, sharing insights and case studies that focus on the implementation and impact of Shared Value – and how it can align business to the achievement of the UN Sustainable Development Goals.